Finance Minister P Chidambaram will leave early Friday on a two-day visit to Moscow to attend the G20 ministerial meeting that will deliberate upon the current economic situation and the quota reforms of the International Monetary Fund among other issues. The G20 meeting of the finance ministers and central bank governors beginning July 19 will also be attended by Reserve Bank of India Governor D Subbarao and Deputy Governor Urjit Patel. 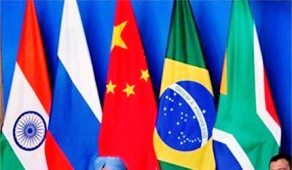 The finance ministers of Brazil, Russia, Indian, China and South Africa (BRICS) member countries are also scheduled to meet on the sidelines of the G20 ministerial meeting as a follow up of the Durban Summit earlier in March, official sources said. "The G20 meeting will discuss the framework of the quota reforms in the IMF and also delve on the global macro economic situation," an official said. The finance ministers of BRICS, had in March agreed on the setting up of a development bank to fund infrastructure and development projects in the five-nation grouping of emerging powers. nations, including US, Canada, Brazil, Saudi Arabia, UK, Russia, Japan, Australia and South Korea. The meeting of the Finance Ministers and central bank Governors would be followed by G20 Summit to be held at St Petersburg on September 5-6. The labour ministers of the G20 countries will also meet separately to discuss the issues of unemployment and job creation, which is a major problem for the advanced nations, sources said. The IMF has recently lowered the global growth forecast for 2013 to 3.1 per cent, from the earlier 3.3 per cent. For 2014 also it has cut the growth forecast to 3.8 per cent, from 4 per cent. The IMF has also slashed its 2013 growth forecast for developing countries to 5 per cent, including a lower projection for the BRICS nations. India's economic growth slipped to a decade low of 5 per cent in 2012-13 and is projected to recover to 6 per cent in the current fiscal. The G20 ministers will also discuss the report of the G20 framework working group which focuses on assessment of past and elaboration of new structural reforms. The framework working group is co-chaired by Canada and India.